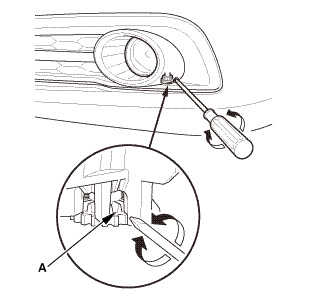 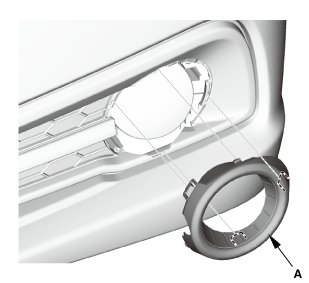 Remove the front fog light trim (A). 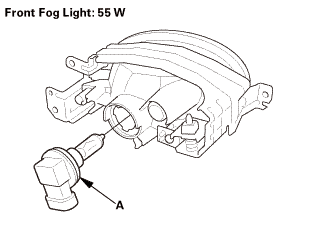 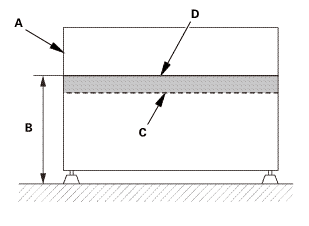 Remove the front fog light (A). 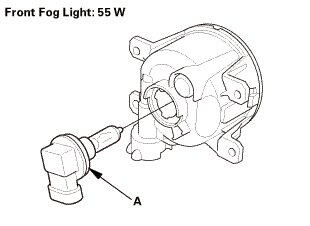 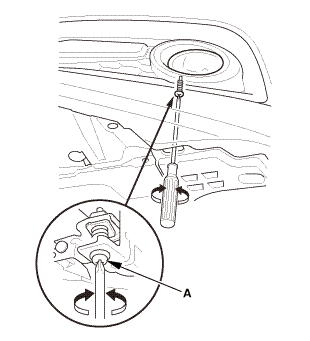 Turn the bulb (A) 45 ° counterclockwise to remove it from the housing. 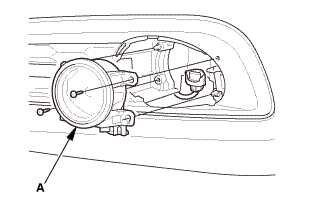 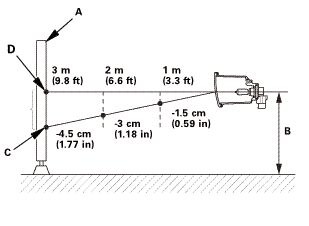 Turn the bulb (A) 45 ° clockwise to install it to the housing. 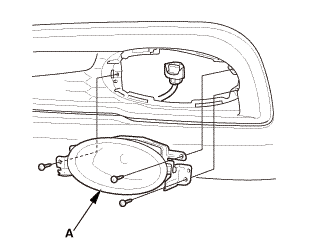 Install the front fog light (A). 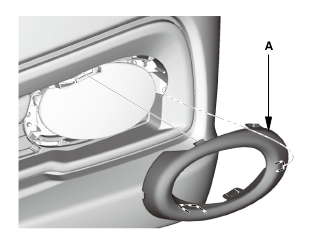 Install the front fog light trim (A).